Let's face it: training a dog to lie down isn't the easiest task, but don't be too fast to label your dog as stubborn! Some dogs have a good reason for being reluctant to perform this task. Small dogs may feel vulnerable when lying down and many of them are sensitive to cold or hard surfaces. Long-bodied breeds such as dachshunds and corgis have such a body structure that makes it a challenge to lie down, not to mention that they're so low to the ground it makes it difficult even for us to discern whether they're lying down or standing! Last but not least, a dog who is reluctant to lie down should see the vet as this can be an indicator of an orthopedic or spinal problem. 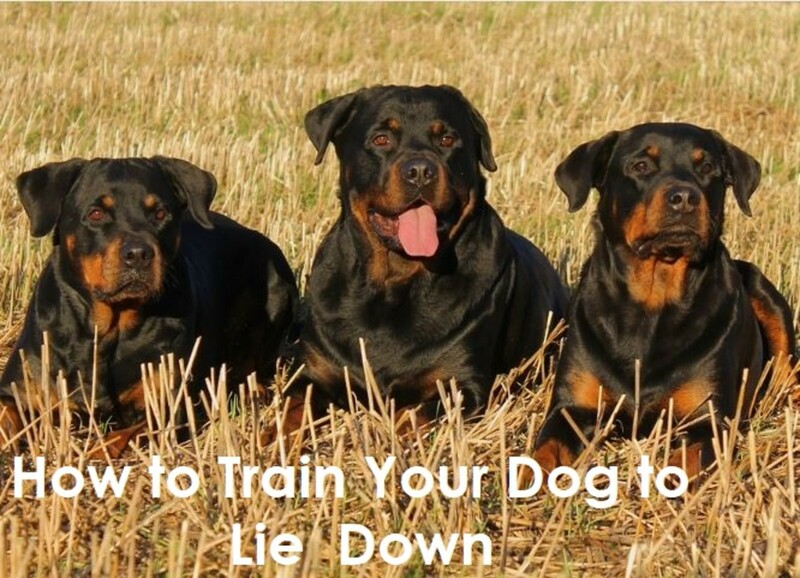 In this article, we'll be looking at how to train a dog to lie down using a training method known as luring. Why use luring to train a puppy or dog to lie down? If you are trying to train your dog to lie down, you may find luring to be an easy method that is gentle and fun to use. What exactly is luring and how can it benefit your dog? If the term luring reminds you of a fisherman using a lure to attract fish, you're quite close to understanding the meaning of luring. Indeed, the principle is almost the same! Well of course, the final result is a dog who is lying down on the floor and not on your dinner plate! What luring fish and luring dogs has in common is the objective: getting the fish to follow the lure, and in our case, getting the dog to follow the lure. In dog training though the lure is not a type of artificial fishing bait; rather, it's simply a treat that you will have strategically placed between your thumb and index finger allowing it to protrude enough so that your dog can see and smell it. 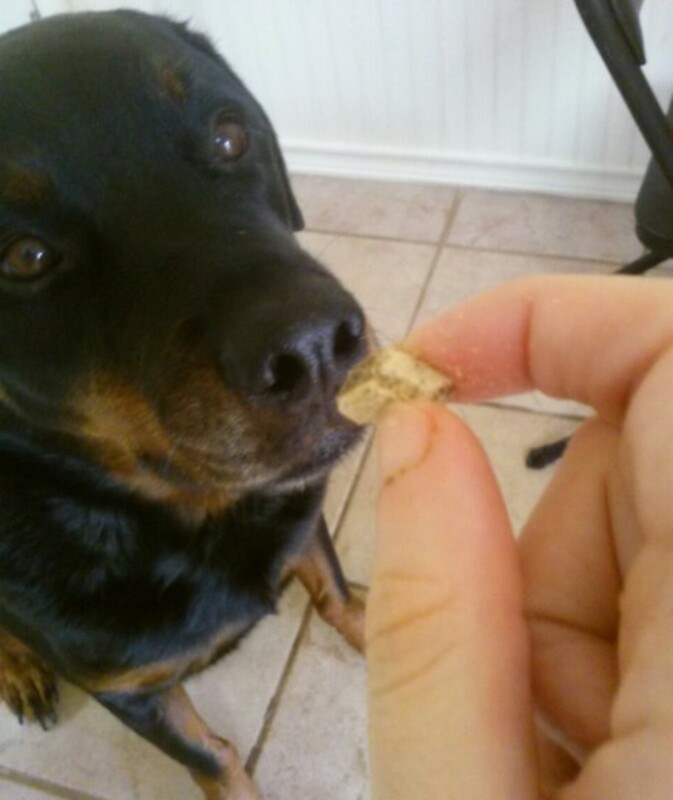 See picture below for proper positioning of a treat in your fingers for the purpose of luring your dog and read on for a step- by- step guide on how to lure your dog in a down. Step 1: Choose a quiet room with little of no distractions going on. This is important, as you want your dog to be focusing on you. Don't worry; you won't be stuck in a quiet room training your dog there all the time. As your dog gets gets the basics down, you can then start training in more and more distracting places. With you being in a quiet room and carrying high-value treats, you should be the most salient stimulus that's worthy of all your dog's attention. So paying attention to you should be fairly easy. In these pictures, I am training a 12-week-old puppy which are known to have short attention spans.The puppy is very attentive to me. 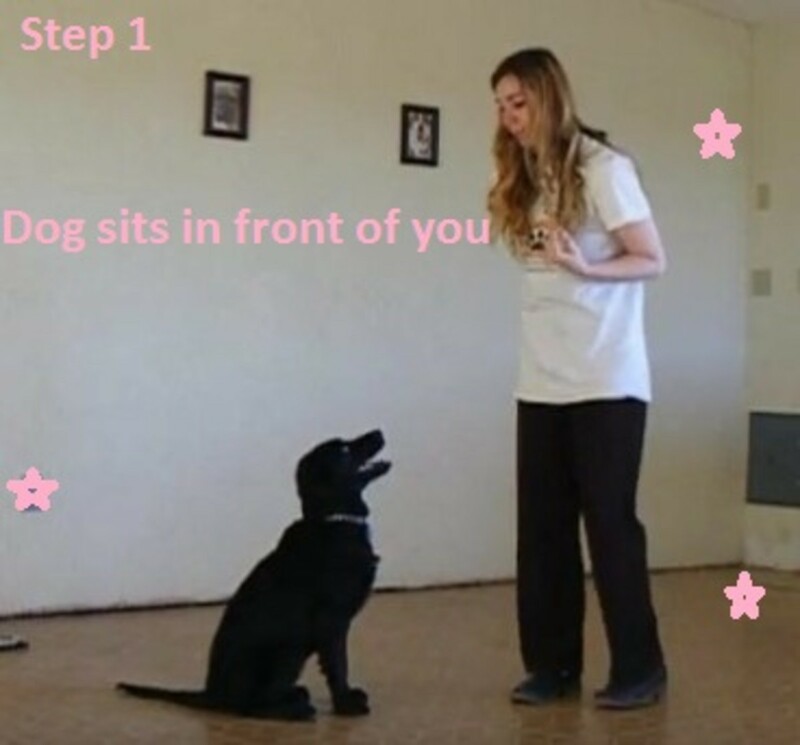 With your puppy or dog in front of you, ask your dog to sit. This is the first step in training your dog to lie down. From a sitting position, it's easier for your dog to lie down. Step 2: Draw an Imaginary "L"
Step 2: After asking your dog to sit, keep your treat in lure positioning and pretend to draw an imaginary "L." Start by drawing an imaginary vertical line "I" by slowly bringing the treat from your dog's nose to the floor ending right in between his paws. Then, draw the "_" portion by pulling a horizontal line that goes from your dog's paws towards yourself. See the pictures for a better idea on the motion. 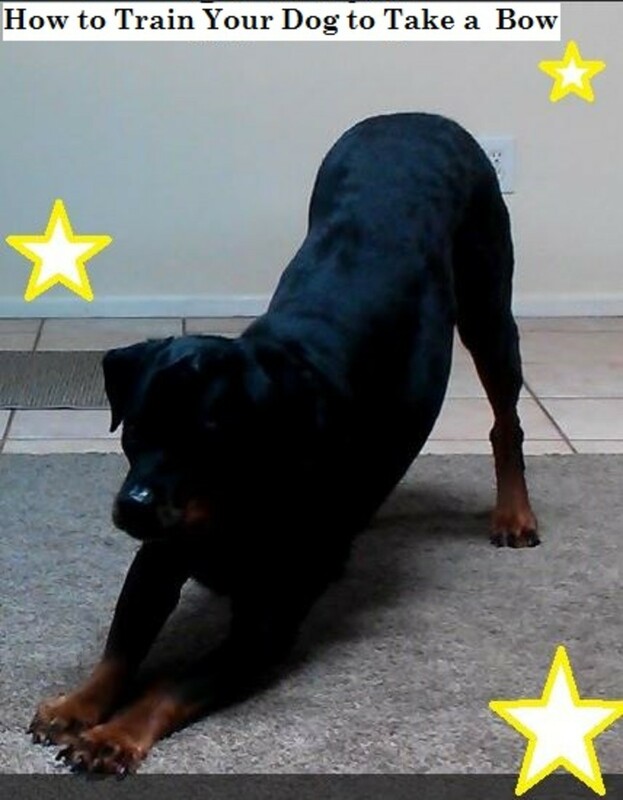 Your dog should follow the treat and lower his body as you draw the 'I" and then should approach to lie down as you finish drawing the "_" portion of the "L"
Step 3: Once you finish drawing the imaginary "L" your dog should have managed to lie down. The moment your dog's elbows touch the floor and his rump is down on the floor as well, praise your dog (or click your clicker) and immediately deliver the treat. This means, you will be giving your dog to lure to eat. 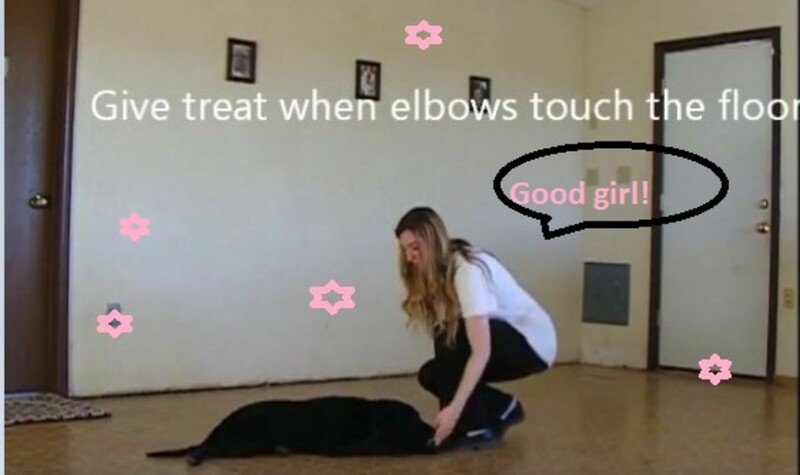 Make sure you praise and reward when your dog is in the down position, otherwise your dog will think he's being rewarded for getting up, not lying down! While this is step 3 of training a dog to lie down, the exercise doesn't end here. You will have to start fading the lure so that your don't have to do the "L" movement every time you need to make your dog lie down. Most importantly, you will have to stop showing the food in plain views otherwise you'll be stuck with a dog who will lie down only when food is in sight! This is a big mistake that causes luring to turn into bribery! 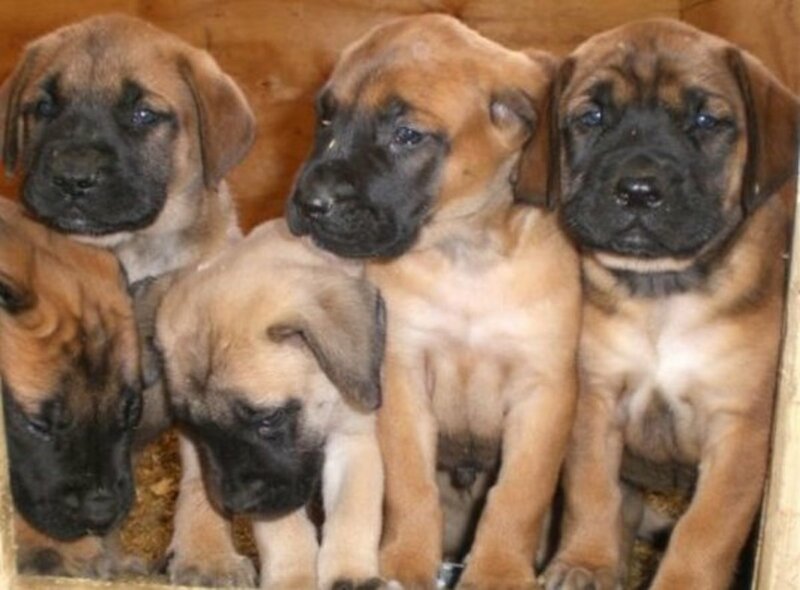 ''A bribe is a lure gone astray,'' claims dog trainer Paul Owens in his book The Dog Whisperer: A Compassionate, Nonviolent Approach to Dog Training, and these are sure words of wisdom. If you ever heard people saying that trainers who use food are spoiling dogs and leading to dogs who go on strike unless you wiggle a slice of baloney in their face, they have a poor understanding of how the art of lure reward training really works. Truth is, luring should only be used a few times to help the dog understand what to do, then it must be promptly phased out and replaced with the wanted cue. This subject though warrants another hub, so stay tuned for learning how to properly fade the lure and hand signal, and later, how to replace it with the final cue that you'll be always using to tell your dog to lie down. Sounds like a very smart dog! 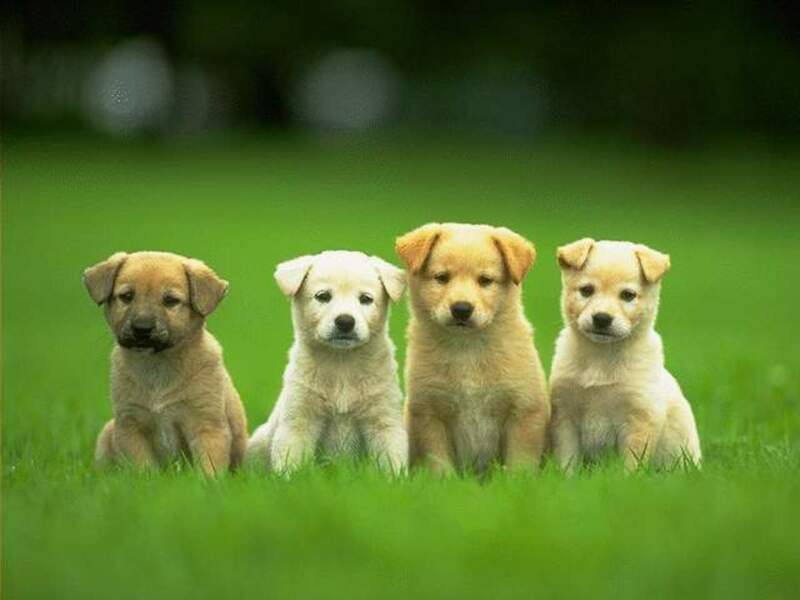 I will soon write a troubleshooting section that will address how to solve all these little dog training problems that can be encountered down the road.They are not that uncommon. Thanks for the votes up and for stopping by! Ha! Good idea, and good technique for training most or many dogs. Although it probably would not have worked on a dog we had when my kids were young. You would get him to lie down, and as soon as the words 'good boy' escaped your lips, he figured that was license to get up! Ladyguitarpicker, sounds like Amanda sure knows how to decide whether those downs are worthy of doing! Stay tuned as I will be writing up soon a hub on how to fade treats so a dog no longer relies on seeing them. The hub gave a lot of information on how to train the dog. I guess I spoiled my dog. Amanda will not lie down without seeing a treat.